The Sandiganbayan 3rd Division has remained firm in its decision to convict former Sta. 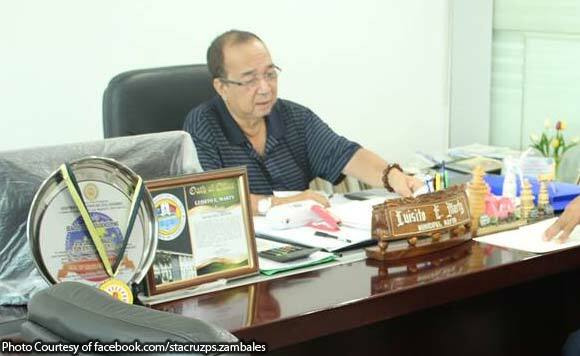 Cruz, Zambales mayor Luisito Marty over the non-issuance of business permits to two mining firms. The anti-graft court has issued a resolution which junked the motion for reconsideration of Marty who sought to overturn its February 15 decision. The case stemmed from Marty’s refusal back in 2011 to issue business permits to Zambales Diversified Metals Corporation Inc. (ZDMC) and Zambales Chromite Mining Company Inc. (ZCMC) without any legal basis considering they already complied with all the requirements prescribed by law. In the decision which junked his demurrer to evidence, the court found him guilty of graft and usurpation. With this, Marty was sentenced to imprisonment ranging from six years and one month imprisonment up to maximum 10 years for graft. For the crime of usurpation, Marty also got an additional prison term ranging from four months and 21 days up to six months and one day. The anti-graft court also ordered him to pay a fine of P50,000. “In sum, the court holds that accused Marty’s unilateral issuance of a mere memorandum, which effectively prevented the ZDMC and ZCMC from paying their occupation fees, and his inaction on the business permit application of the ZDMC and ZCMC without any sufficient legal basis and justification unquestionably manifest evident bad faith on his part,” the court ruled.